Lexus is a brand synonymous with precision, luxury and quality. However, “sportscar” isn’t a term that could have been associated with Lexus in the past. There were attempts, but neither the LFA nor the IS F really hit the mark. 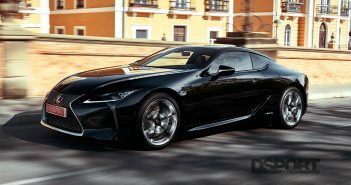 The LFA was a limited-production supercar experiment that was overshadowed by the performance of the much less expensive Nissan R35 GT-R, while the IS F seemed to be more of a factory engine swap experiment. 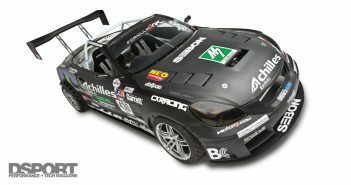 While both the LFA and IS F had some noteworthy aspects, neither was a sportscar for the masses. The 2015 Lexus RC F literally broke the rules to become a legitimate sportscar for the masses. 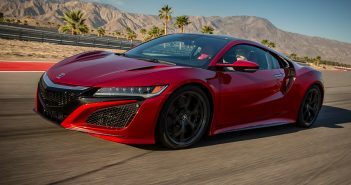 A purpose-built chassis, 467-horsepower V8 engine, sport-engineered suspension and a host of new technologies deliver a sportscar that not only survives a day of flogging at a racetrack, but actually thrives at it. Whereas some vehicles incorporating new technologies tend to isolate the driver from the driving experience, the RC F gets it right. The RC F is a blast to drive on the track. While competitive European offerings might deliver quicker lap times with a professional driver at the helm, the RC F’s easy-to-drive setup inspires the confidence needed to get non-professional drivers up to speed quickly. If you have $100,000 to spend on a sportscar, purchasing any vehicle other than a Nissan GT-R would put your sanity in question. Obviously, not everyone has that level of budget. While the STI, EVO X and 370Z offer some great performance values; two of these are four-door platforms while the third is a two-seater. In reality, there hasn’t been an option in between those middleweights and the heavyweight champion GT-R until the release of the 2015 Lexus RC F. Starting at $62K, the RC F fills a massive void with a two-door sports coupe that is a legitimate sportscar.